Σε πολύ καλή τοποθεσία της Incheon, το Air Stay Hotel είναι μια πολύ καλή βάση απ'όπου μπορείτε να εξερευνήσετε την σφύζουσα πόλη. Από εδώ, οι επισκέπτες μπορούν να έχουν άμεση πρόσβαση σε όλα όσα η πόλη έχει να προσφέρει. Με την βολική του τοποθεσία, το ξενοδοχείο προσφέρει εύκολη πρόσβαση στους προορισμούς της πόλης που πρέπει οπωσδήποτε να δείτε. Το Air Stay Hotel προσφέρει άψογη εξυπηρέτηση και όλες τις βασικές ανέσεις στους ενθουσιώδεις ταξιδιώτες. Τα δωρεάν WiFi σε όλα τα δωμάτια, 24ωρη φύλαξη, παντοπωλείο, ημερήσιος καθαρισμός, ταχυδρομική υπηρεσία είναι μόνο λίγες από τις εγκαταστάσεις που κάνουν το Air Stay Hotel να ξεχωρίζει από τα άλλα ξενοδοχεία στην πόλη. Ελάτε σε ένα από τα 40 φιλόξενα δωμάτια και ξεφύγετε από τα άγχη της ημέρας με μια ευρεία γκάμα ανέσεων, όπως επίπεδη τηλεόραση, κρεμάστρα ρούχων, καθρέφτης, παντόφλες, πετσέτες, που θα βρείτε σε ορισμένα από αυτά. Το ξενοδοχείο προσφέρει φανταστικές εγκαταστάσεις, συμπεριλαμβανομένων των υδρομασάζ, γήπεδο γκολφ (σε απόσταση 3χλμ. ), ψάρεμα, για να σας βοηθήσουν να χαλαρώσετε μετά από μια γεμάτη δράση μέρα στην πόλη. Ανακαλύψτε ένα ευχάριστο μείγμα επαγγελματικών υπηρεσιών και μια μεγάλη ποικιλία ιδιαίτερων χαρακτηριστικών στο Air Stay Hotel. I like that the bedspreads are white and not stained. I like that the place seems to be pretty clean. The pressure in the shower was good!! The beds are typical for S.Korea (or all Asia for that matter) so no surprise there...the staff was friendly enough to make up for it! Also, they pick up and drop off at the airport for free, for a visa run makes this a decent place! I’d stay again and again, especially since they're only a block from Lotte Mart!! Location just a 10 minutes walk from Unseo station. Many eateries and Lotte mart supermarket nearby.. They have free shuttle bus to airport. Make sure you book them early. Room’s furniture is quite old but clean. Bathroom has a bit of mould here and there.. Over all it was a good short stay. Only takes 15 minutes to the Incheon Terminal 1 so we don’t have to rush to catch our flight. We are glad to have been well rested. Please come to our hotel again next time. Thank you. Quite far away from airport. Taxi fare to the hotel from the airport costed approx. 12000 KRW in past-midnight-rate. It's in the middle of bleak new town. Accessible to leisure and community facilities in new town however the atmosphere of the town is quiet and calm. Perfect place to rest before/after your flight. The room was clean. Typical Korean motel room. There was only one staff watching the counter. We were travelling with a 3 year old and a 1.5 year old. The only hitch we encountered was that the shuttle service to the airport only ran till 12pm (checkout time). However the staff were more than happy to accommodate our request to take us to the airport at 2:30pm. 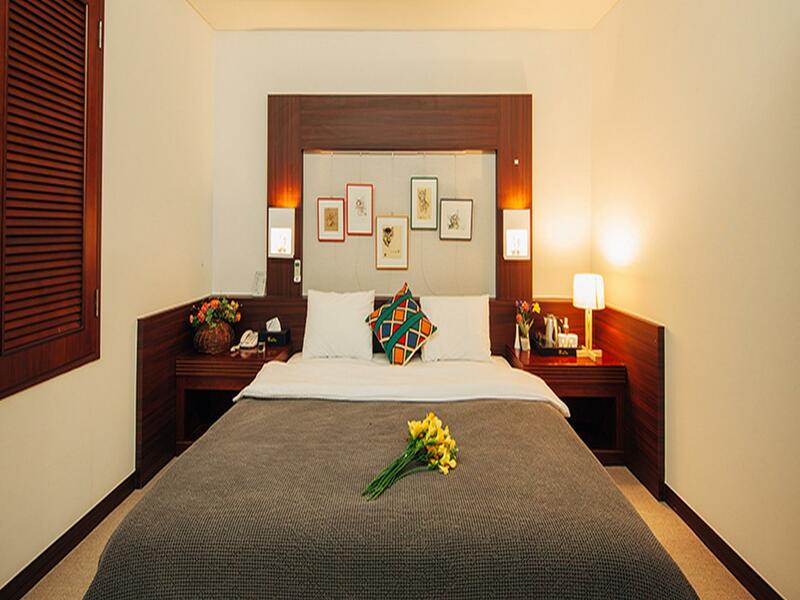 The room was excellent and quiet and was situated close to shops and restaurants. Will stay here again. Pros: Good location to city transportation, free shuttle to and from airport, cleanliness, helpful staff, 2-10 minutes access to eateries including 24-hour restaurants. Cons: Not the hotel’s fault but some guests smoke in the non-smoking rooms. Thank you for using our hotel. All rooms are non-smoking. I will be more concerned about ventilation. Thanks for staying with us. We appreciate your feedback! the room is clean, and quite close to the metro station. the staff are helpful too. Thank you for your good evaluation. Please come to our hotel again next time. Free shuttle to and from hotel....Near lotte mart and restaurants...only downside is the smell of the room.. Thank you for your praise. I will be a good hotel. Clean hotel, near Unseo station. Breakfast just ok. Many resto and convenience store nearby. There are restaurants, super market, convenient stores nearby. Kyochon Fried Chicken is also there! 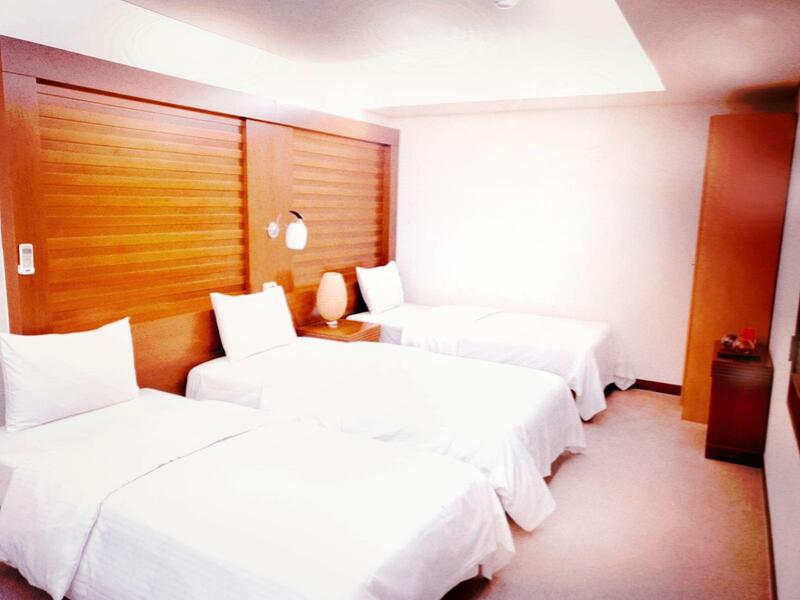 If you are looking for an inexpensive, comfortable hotel near the Incheon Airport, Air Stay Hotel is the place. The staff at the hotel was quite friendly and helpful. The room was quite spacious, clean, and cozy. 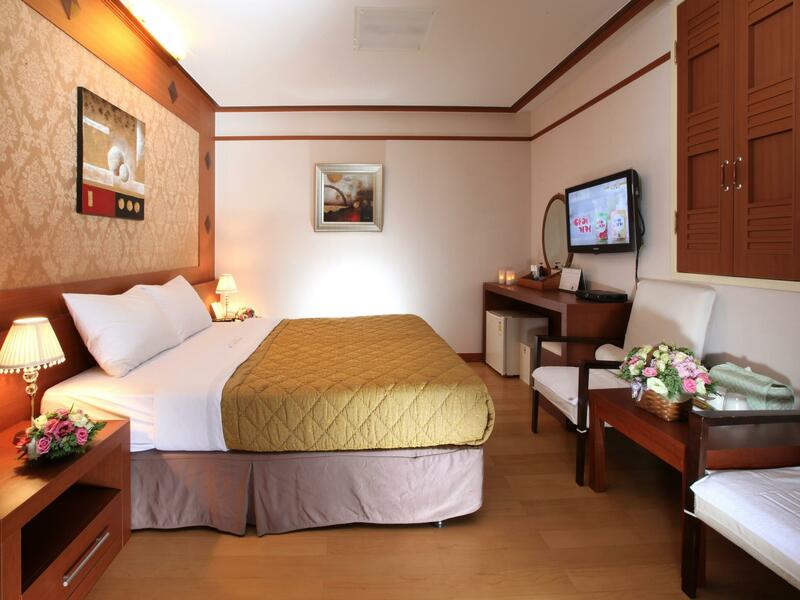 Convenient location with lots of restaurants open till late night.Thanks for staying with us. We appreciate your feedback! 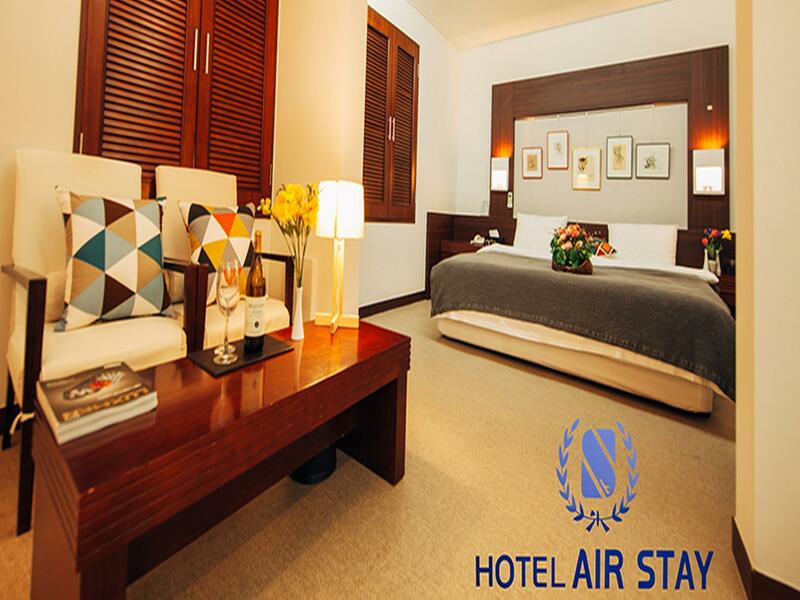 I had 1 night stay at airstay before my early flight in the next day. They do provide free shuttle service from 6am to 3pm (once per hour) to incheon airport which is very convenient for us. Beside that, the front desk is very helpful and our check in process is fast, just show them the agoda voucher then we got our card access and toiletries immediately. Towels, hairdryer, shower gel, shampoo, lotion, hair gel, deposit box, fridge are all available in your room. I got my double room with extra bed too. Located a short drive from the airport but still close to shopping and restaurants, perfect for what we needed-a few hours in the evening and and early flight out the next day. Room was large and both the steam shower and a/c were appreciated. The hotel was a great place. It just had everything you would expect in 5 star hotel for alot less cost. Great location, clean, spacious room, and many restaurants nearby to dine. Will definitely stay again in the future! Towels were stained, but seemed clean. Location was good. Lots of restaurants and convenience store nearby. Thank you for your help. I will make you a comfortable hotel. 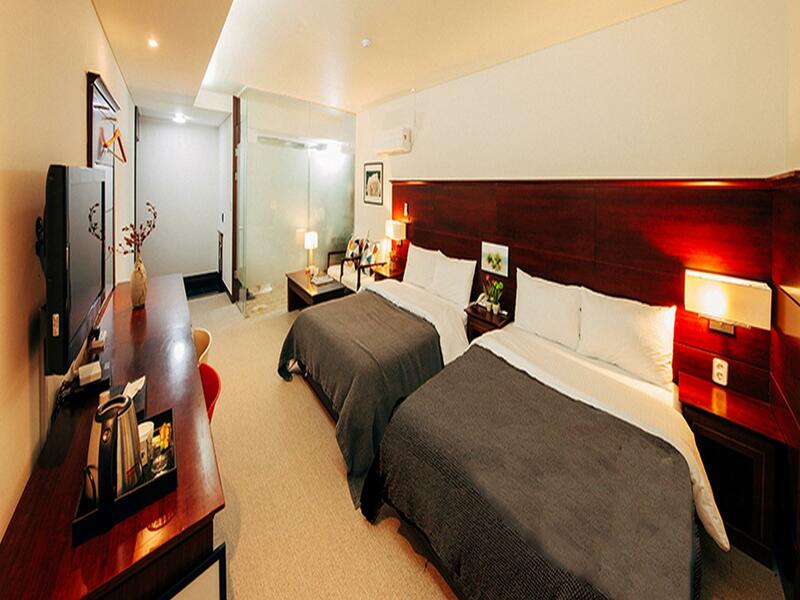 big rooms, comfy beds! convenient location with lots of restaurants open till late night! Good service. The room is clean. 2 guys are so help. We arrived at22:00, they help us to call the is so 100We have 3 adults and 1 little boy, they aranged a big room for us. 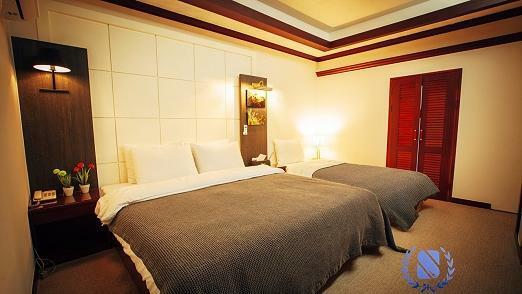 Value for money hotel located a few stops away from Incheon Airport. Good for a quick night's rest before an early morning flight. Room was clean and adequate. Counter staff were friendly. Thank you for using our hotel. Unseo Station στα 0.4 χλμ.